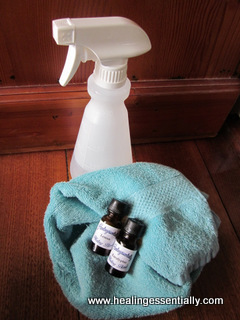 It is possible, easy and cost effective to use essential oils for cleaning our home. They work, they are made from natural products, they are not going to harm us, they do not contain lots of artificial and potentially dangerous additives and they smell nice! Oh yes, they are also non harmful to the planet…what a bonus! Combine all ingredients into a clean unused glass bottle. Shake well. Decant into squeezable bottle and shake before use. Use about a tablespoon each wash. It doesn't make as many suds as regular dishwashing liquid but does the trick. Using pure essential oils in the washing up liquid is a simple but effective way to wash up. The aroma, the anti-bacterial properties and the emotional impact of each oil (like the zing from Lemon and the stimulant from Bergamot) can help us get through the chore of washing the dishes. Add these essential oils to a bottle of purchased washing liquid and shake before each use. 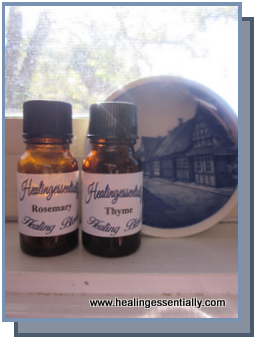 This method is based on herbs and/or essential oils but doesn't use vinegar. This one is handy for bench tops made from marble. Pour hot water into a wide mouthed jar and add the herbs. Allow to steep, covered, for a couple of days. Remove the plant material and add the Borax and essential oils. Shake to mix thoroughly and pour into spray bottle. This is an all purpose spray based on vinegar. However, don't use it on marble. Add the vinegar to a wide mouthed glass jar and place the herbs or essential oils and teabags in the jar and shake well. Allow to infuse for a day or two, covered. Then remove the plant material or teabags. Pour into a spray bottle and keep well sealed. It can be diluted to half strength with water, if desired. Use this method for baths, basins and stainless steel appliances. But don't use on fiberglass fixtures. Combine all ingredients and store, well sealed. Use on a cloth, wipe over surface and then wipe over surface again with fresh cloth or sponge of water. This essential oils disinfectant is good for toilets and higher use areas. If used in the toilet, put some of this in the Loo and then spray with the Vinegar Spray. Allow the mixture to fizz before brushing around the inside bowl and flushing the toilet. Mix the ingredients together and store, well sealed. Allow to blend for a couple of days before using. Apply with a damp cloth and rinse well. Make up a blend of the following essential oils for cleaning the kitchen and keep in a clean dark glass container which is well sealed. Use on all kitchen surfaces, including the floor. The essential oils are disinfectant and anti-bacterial so just great for disinfecting the kitchen and eliminating harmful bugs! 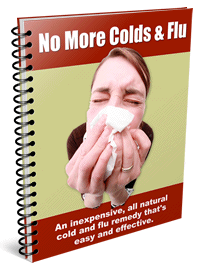 Use 8 drops in 500ml of warm water. Soak a cloth or sponge in this water and wipe over all surfaces. If washing the floor use hot water and the same ratio of oils to water. Mop over the floor and leave to dry. Add the soap flakes to the hot water and beat until fluffy. Cool. Stir in the glycerine and and essential oil. Whisk. If the mixture becomes too solid to pour add more water. It should be like liquid soap consistency. Store in a pump bottle and use as needed.